We Offer The Most COMPREHENSIVE and AFFORDABLE Carpet Cleaning Henrico VA.
Now … Henrico VA and the surrounding area have an affordable and professional Carpet Cleaning Service they can rely on. TRUE STEAM offers an outstanding level of service for Carpet Cleaning and also specializes in Tile & Grout Cleaning, Upholstery Cleaning and Mattress Cleaning to the Richmond VA Area. We specialize in Odor Removal Services from both natural fabrics (wool, cotton) and manmade materials such as Polyester and Nylon and we also offer Oriental Rug Cleaning services and Stain Removal Services. We understand that every customer is different and adapt our services to best suit the needs of every individual. 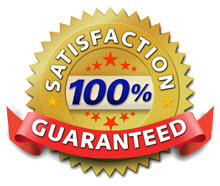 We want every customer to be 100% satisfied, which us why we ensure we address all of your concerns BEFORE we begin the cleaning process. We also discuss our cleaning process, how long it will take, what you can expect, and most importantly the price before we even start our equipment. Henrico VA and the surrounding area of Richmond VA, we offer a fully customizable cleaning process which focuses on YOUR needs. We operate our equipment from a new, Truck Mounted equipment and pride ourselves in maintaining a high level of cleanliness, skill, and knowledge to combine with the superior cleaning power of our truck mount. Say NO to toxic cleaning chemicals. We all know that some cleaning chemicals can be toxic, and the companies selling those chemicals do their best to hide that fact from you. Here at True Steam, we offer a line of non-toxic, Green Certified cleaning solutions for every home. You can rest easy knowing that our child and pet friendly solutions will leave no sticky residue since our main cleaning component is water! Unlike some other drier cleaning companies who leave harsh, sticky chemicals behind. We feel it is our job to educate the people of Henrico VA to why ‘Steam Cleaning’ or Hot Water Extraction is the BEST way to clean Carpets, Upholstery and Tile. As well as physically extracting (sucking out dirt) dirt from your carpets with our industrially powered vacuum, we inject super heated water into your carpets. This breaks down dirt, grease and other allergens, which then get sucked out, through our hoses and filtered into our truck. Now you may be wondering….well how long does my carpet take to dry after it has been cleaned? Well the answer is anywhere from 1-4 hours depending on humidity, airflow, and the thickness of the carpet. We don’t leave it wet for days like some of the ‘fly by the night’ cleaners either. You can rest assured knowing the highly trained professionals at True Steam can take care of all your Carpet Cleaning Henrico VA. Call us today to set up an appointment, or click on our coupons to look at some of our Online Specials.